Our core competency at Island Digital Marketing lies in Google Adwords Management, Bing Ads Management and Facebook Ads Management. We are the paid media go to’s for our clients where we craft targeted ad campaigns to reach clients exactly when they are looking. Our Google Adwords management services run your campaigns from start to finish. This includes utilizing all the top industry tools at our fingertips, from research tools analyzing audiences and consumer behavior to search trends looking at how and when users search for your product. As a result, we help grow online revenue and increase leads for your business. In addition to being immersed in our clients data, we are competitors at heart! Island Digital Marketing works hard to stay steps ahead of your competition and use tools to analyze the digital landscape to ensure your campaign is as profitable and successful as possible. We look for any opportunity to look for a competitive advantage in our Adwords management approach. This includes precise keywords and ad copy which allow our Adwords campaigns and ads to show at the lowest bids levels for the highest ad positions. At Island Digital Marketing we accommodate every budget level for our clients. Whether you are spending $100 per month or $1 million per month know that you will have the A-Team staffed on your account. 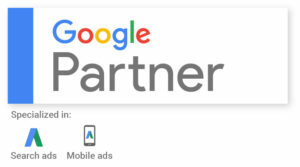 Our Google Adwords management company experts are also Google certified in search, display, shopping, video, You Tube and more. Island Digital Marketing takes full control of your marketing programs and works to tailor a strategy specialized to attract new customers. Adwords management is not only about driving traffic to your website, it is also converting the traffic to customers. At Island Digital Marketing we work to analyze your website and find ways to improve the conversion process. Island Digital Marketing is a full service digital marketing agency located in Long Beach, NY. At Island Digital Marketing our roots run deep. We have experience crafting, implementing and analyzing marketing campaigns for clients in a variety of industries for over 10 years.